Who negotiates for the MSVUFA? The Negotiating Committee, elected by the MSVUFA membership, compiles the information from a variety of sources, including the membership, to identify priorities for negotiation. From this, the MSVUFA Executive members form the mandate and appoint the Bargaining Team. 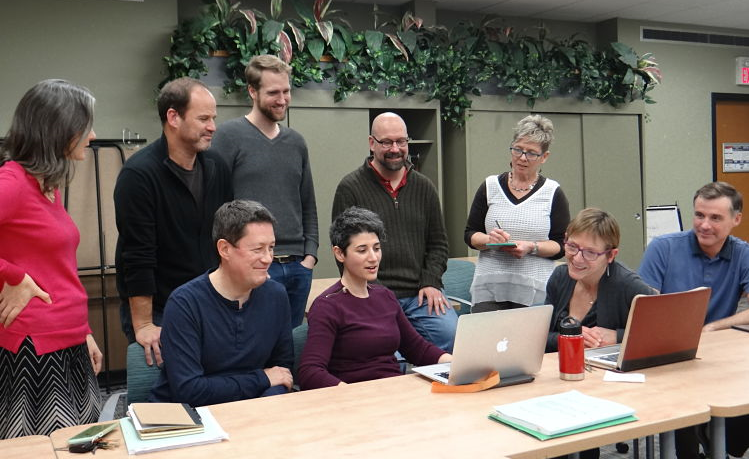 The Bargaining Team, our front line, conducts the negotiations with representatives of the MSVU Board of Governors (usually VP Administration, a Dean, the Directors of Finance and Human Resources, and the Manager of Academic Relations). What can you do as a member of the MSVUFA? We need a membership that is engaged in the process, aware of the issues and who can clearly state their priorities. Be familiar with your Collective Agreement and think about what collective agreement issues are important to your work at MSVU and how they may be improved for the benefit of all members. While we hope for a negotiated settlement, it is always possible that talks will reach an impasse. Should this happen, either side – the MSVUFA or the Board of Governors – may file for conciliation. Conciliation is governed by the Trade Union Act of Nova Scotia and administered by the Minister of Labour and Workforce Development. When an impasse is reached in negotiations, one of the parties may request that the Minister appoint a conciliation officer. This officer will act as an intermediary between the two sides and attempt to reach an acceptable settlement. If an agreement cannot be reached, the conciliation officer files what is called a “No Board Report.” There is then a cooling-off period of two weeks to allow the two sides to consider the consequences of not reaching an agreement. At the end of that period, the union is in a legal strike position, and the Employer can legally lockout its employees. It is desirable to have a strike mandate prior to conciliation as it demonstrates our resolve to reach an acceptable settlement. As governed by the Trade Union Act of Nova Scotia, a strike vote requires a secret ballot. Importantly, a strike must be supported by the majority of all members – not just of those voting – to be successful. Should this happen, arrangements will be made to submit ballots by mail, e-mail, as well as on site. With every round of negotiations, there is always a risk that there may be a strike or lockout, but the MSVUFA Executive see a strike as the very last resort and is prepared to do everything possible to reach an acceptable settlement at the bargaining table or, should that fail, in conciliation. We have always had good relations with the employer and would be most surprised if they chose to stage a lockout. However, should a strike or a lockout happen, we have financial resources in place and can call on the support of the CAUT Defense Fund. Please plan to attend the bargaining update meetings and the General Meetings, read the MSVUFA Collective Agreement Updates and any other information that we may send you.